Mr Sameer Khemani is a private Consultant and Surgeon specialising in Ear Nose & Throat (ENT) Surgery. 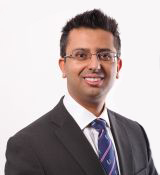 Mr Khemani’s private practice is based at Spire Gatwick Park Hospital and Ramsay North Downs Hospital in Caterham. Mr Khemani graduated from Guy’s and St Thomas’ Hospital Medical Schools, London in 2000 and is a Fellow of the Royal College of Surgeons of England. He underwent higher surgical ENT training in the North Thames region of London, working at a number of prestigious surgical centres including University College Hospital, Charing Cross Hospital and the Royal National Throat Nose and Ear Hospital. Mr Khemani spent a year in educational research, which culminated in him being awarded a Masters in Surgical Education with distinction from Imperial College London. 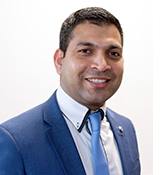 In March 2012, Mr Khemani was appointed as a full-time Consultant to the Surrey & Sussex NHS Trust and later appointed as the Lead Clinician for the ENT department. He has taken an active role in teaching and leadership within the region. In addition to extensive experience in the medical and surgical management of general ENT conditions, he also has an active interest in all aspects of paediatric ENT. His subspecialist expertise includes all types of ear problems including the surgical management of hearing loss and discharging ears as well as the management of balance disorders. He also has special expertise in snoring and sleep apnoea, voice and sinus problems. 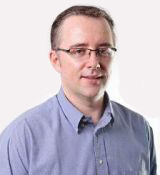 Dr Locke is an Anaesthetic Consultant with special interests in paediatrics and ENT surgery. She has a substantive consultant post at Surrey and Sussex Healthcare Trust where she anaesthetises regularly for both adult and paediatric ENT surgery. During her training she completed a fellowship in paediatric anaesthesia at Great Ormond Street Children’s Hospital. 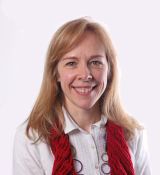 Dr Locke has a particular interest in paediatrics and is on the Children’s Surgery Board at East Surrey Hospital and is the Lead for Paediatric Resuscitation. She has worked in international countries with OperationSmile, anaesthetising children for repair of cleft palates. Dr Van Damme is a Consultant Anaesthetist with a special interest in paediatric and adult ENT, Trauma & orthopaedics and regional anaesthesia. He has a substantive consultant post at Surrey and Sussex healthcare NHS trust since 2011, where he anaesthetises regularly for both adult and paediatric ENT and Trauma cases. He is also the Lead for acute pain management. He completed his training at St Georges Hospital, during which he completed a year with the Kent, Surrey and Sussex Air ambulance for which he is still an Emeritus Doctor. Mrs Angie Street obtained her BTEC in Science in 1984 having studied a diploma in Medical Physics and Physiological Measurement [ MPPM]. 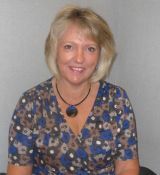 In addition she qualified as an Audiologist in 1985 after completing her in service training at St Mary Abbots Hospital in London, she received her British Association of Audiology Technicians [BAAT] part 1 and 2 and became a member of the Association of Technicians Group of the British Society of Audiology. 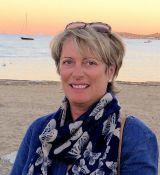 Having worked at Charing Cross Hospital as a Senior Audiologist she was involved in the training and supervision of Audiology students, she actively took part in the BAAT training course and became an assessor for the BAAT practical exams. Angie is a very experienced Audiologist having spent 30 years in this field and has managed and led both Adult and Paediatric Audiology services in East Surrey and West Sussex. She is currently registered with the Registered Council for Clinical Physiologists [RCCP]. Mr Prince Punnoose (Clinical Audiologist, BSc, PG, RHAD) completed his graduation in Audiology in 1999 from a leading Medical University in India and thereafter gained his Post Graduate degree in Audiology at the University of Manchester in 2003. He is registered with the Health and Care Professions Council (HCPC) who regulates Private Hearing Aid Dispensers in the UK. He is also a member of the Registered Council for Clinical Physiologists (RCCP) who regulates the NHS audiologists. Prince has extensive clinical experience in the field of audiology in the UK as a clinician, team leader and head of NHS Audiology department, and has been practicing private Hearing Aid Dispensing since 2007 at Spire Gatwick Park Hospital trading as Gatwick Audiology.